Sending or Selling to Switzerland? Asendia is jointly owned by Swiss Post, so we are uniquely positioned to help you deliver to Switzerland; with mail, parcel and customs clearance solutions. This is a small but important market for online retailers and publishers in Europe. The Swiss population has a high spending power and their international outlook means they are happy to buy cross-border. Mailbox Plus is the ideal home delivery solution and the preferred option for the majority of Swiss shoppers. Mailbox Plus is the ideal home delivery solution and the preferred option for the majority of Swiss shoppers. With over 2500 PUDO points and Delivery Duty Paid solutions too, you have all the reassurance that the national delivery operator offers its customers. With Swiss Post’s parcel division you benefit from additional services and options for parcels up to 30 kg. With Swiss Post’s parcel division you have the ultimate flexibility in delivery speed and additional services that meet your specific tracking and delivery requirements for parcels up to 30 kg. There are a variety of customs clearance options in Switzerland and Asendia can help you choose the most cost effective one for your ecommerce business. We also provide a free eBook on this topic. Our most cost-effective delivery solution is perfect for small goods that don’t require tracking. Why should Switzerland be part of your international e-commerce growth strategy? Switzerland might be a small country but it punches above its weight when it comes to e-commerce potential. It’s a very international market, separate from, but closely linked to, the European Union, and it has a strong reputation as a country with which to do business. Plus the Swiss online shopper has a great desire to shop cross-border and spends more than most too. Why do Swiss online shoppers buy so much from cross-border retailers? Learn now how you can take advantage of this brilliant opportunity. And how Asendia and Swiss Post can help you succeed. Population wise Switzerland cannot compete with China. It is famous for some world class products but due to the relatively small domestic market, not so many consumer products get produced locally. Further, many companies in Switzerland do not invest in local warehousing in order to supply the market, so availability of consumer products is limited. Those who visit Switzerland on holiday will likely remember it’s prices. For certain products you have to pay significantly higher prices compared to other overseas destinations, making the incentive for Swiss citizens to order goods abroad much more attractive. This gives outside businesses looking to sell products in Switzerland an advantage when competing with domestic sellers. How can you take advantage of this brilliant opportunity? The Swiss e-commerce trend indicator 2016 report, produced by the University of Applied Sciences in Business Administration Zurich (HWZ) and Swiss Post, reveals the facts you need to know. Over 10,000 people from all language regions of Switzerland took part in the study, providing a very valuable snapshot into how and why Swiss consumers shop online. E-commerce in Switzerland continues to grow year on year. Spending on online products and services grew by 14% between 2015 and 2016. To tap into this, ensuring your website and marketing are aligned to Swiss consumer needs is key. Web & marketing content will need to be available for all the main languages of Switzerland - German, French, Italian and Romansh - to reach all Swiss customers. As for payment methods, PayPal is a first choice for payment for many Swiss consumers, as well as credit cards, which are as popular, as is paying via invoice. The Swiss are very keen on home delivery – 90% prefer it while only 9.9% select Click + Collect. The Swiss tend to be less impatient than some consumers in other countries, something that is obvious by the delivery choices made between priority and regular services. For example, in 2016, 60% of delivery choices made were for Economy (E+2), as opposed to Priority (E+1). Customers in this maturing marketing are much more likely to be willing to wait for their purchases – but also to expect high quality delivery services. Learn all about the exciting Swiss e-commerce market and how a UK retailer can take advantage of this excellent opportunity for growth. What are the unique challenges of the Swiss e-commerce market? As Switzerland is in the single market, customs costs are lowered – but still exist. Something as simple as failing to make the correct customs declaration to indicate the value of what’s inside can cause some serious issues for your delivery. Furthermore, choosing the wrong HS code can lead to serious problems. If you don’t add the value to the declaration, for example, your parcel may have to go through the clarification process, which involves unpacking, x-raying and contacting the customer. This not only causes delays but can result in additional charges too. Switzerland has customs duties, which are taxes levied on products crossing the Swiss border. These duties are based on one of several criteria, though the most common is the gross weight of the package. This is not just the weight of the object inside, but also includes with weight of the packaging and filling materials. The duties are then worked out as a set rate per 100g. Switzerland has four official languages - German, French, Italian and Romansh – with German the most widely spoken. Although English is commonly used throughout the country it’s not one of the country’s official languages. So, when sending parcels to Switzerland you may need to consider both the communication and labelling implications of this. Returns should never be an afterthought for e-commerce businesses shipping overseas - 92% of consumers will buy from a brand again if returns are made easy. Although Swiss return rates are lower on average, they can be as high as 40% for fashion items. Video: What are the most popular parcel service with Swiss shoppers? This video focuses on Premium Goods Mailbox Plus, the preferred parcel solution for online shoppers in Switzerland. See how this solution could save you money, improve delivery options with Home Delivery and 2500 PUDO points, provide Delivery Duty Paid (DDP) solutions and customs clearance options. When it comes to Priority Delivery, 90 per cent of consumers will opt for a free version offering 48 hours delivery, rather than pay for Next Day, according VSV – and many consumers are willing to wait up to a week for their goods. Offering a range of delivery options is a good way to please all your Swiss customers. Offering free delivery is not yet the norm in Switzerland, which gives foreign retailers some wiggle room to cover the extra cost of shipping cross-border. IPC’s research suggests only 50 per cent of Swiss consumers received free shipping for their most recent cross-border purchase. Returns rates in Switzerland can be high – as high as 40 per cent for fashion. And although cross-border return rates remain low, there were up from 4 per cent in 2015 to 7 per cent in 2016, according to IPC. Asendia offer an international returns service, and a premium returns service in Switzerland with Postpac. As many as 21 per cent had to pay duty on their most recent purchase, and 61 per cent of them were made aware of this only after their order. Visibility of all costs – including transport, duties and taxes – is crucial, as many Swiss customers cite hidden extra costs as a reason to abort an order. 2,400 CHF is the annual spend per capita online. That's second only to British shoppers! Learn about the common issues that have to be dealt with when exporting to Switzerland, such as language issues, packaging, restricted items and more. How can Asendia and Swiss Post help cross-border e-tailers succeed in Switzerland? With Swiss Post as our parent company, Asendia has unique access to the final-mile delivery services Swiss shoppers know and trust, and we can get your parcels to Switzerland and through customs efficiently. Our Premium Goods solution includes Mailbox Plus and Postpac, two Swiss Post services for parcels weighing up to 30kg, aimed at ensuring the best experience for both senders and recipients and is designed with e-commerce in mind. It offers delivery, return and tracking options to suit your preferences and the greatest convenience for your customer. With our optional DDP clearance solutions we can charge all VAT and costs to you. As a result, your customers receive parcels without extra charges, and they are packaged according to Swiss standards, which builds trust. Known for its reliability all over Switzerland, Swiss Post has one of the most dense post office networks in Europe for pick-up deliveries and offers customer service in four languages. 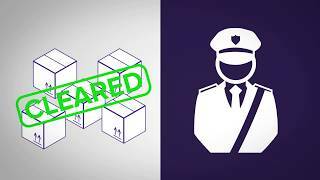 Further benefits are tailored customs clearance solutions to help minimise your duty costs and convenient return solutions. For small goods that don’t require tracking, our Standard Goods service offers a very cost-effective delivery solution. what swiss customs service is right for me? Create a marketing strategy to grow your e-commerce business in Switzerland with this helpful guide. Want to enter the Swiss Market but not sure how to get your products through customs? Use our handy checklist to find the solution best suited for your business.